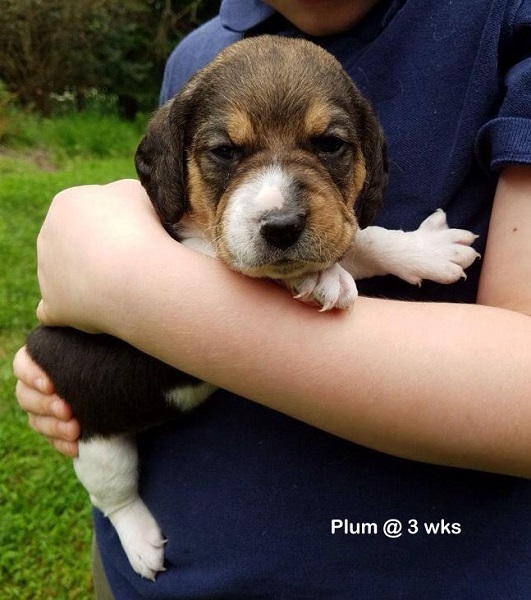 Little Plum is not only the only girl from her litter, but the only tri-color. She was born to the rescue in July and Mango is her mom. In a few short weeks she will be spayed and will then be eligible for adoption. As you can see from the photos, she's a rough and tumble, playful kind of gal and is not shy about voicing her opinion. She's the most vocal of her siblings. We will NOT place her in an apartment or condo for this reason. That said, she's just as cute as they come and quite friendly. 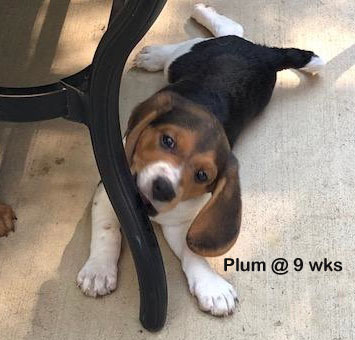 Also as you can see from the photos, Plum is a typical puppy, given to bursts of wild energy, willing to chew on inappropriate objects, and although not represented in any of the pictures, hasn't yet met a rug she is unwilling to soil. She's a PUPPY and so far is acting like one. 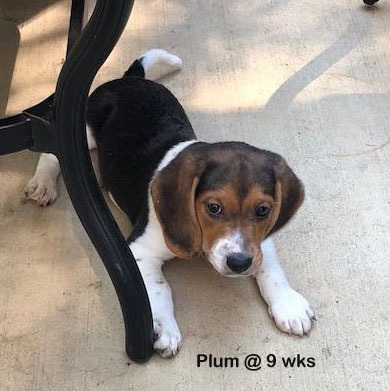 Plum (and all of her siblings) are going to require loving, patient and consistent training to become your ideal pet. She's definitely worthy of the time, but it does take time. We expect Plum to live out a normal lifespan of 14-15 years, so potential adopters need to be willing to make a long term commitment. She is going to love you with every fiber of her being and it would break her heart to lose you. 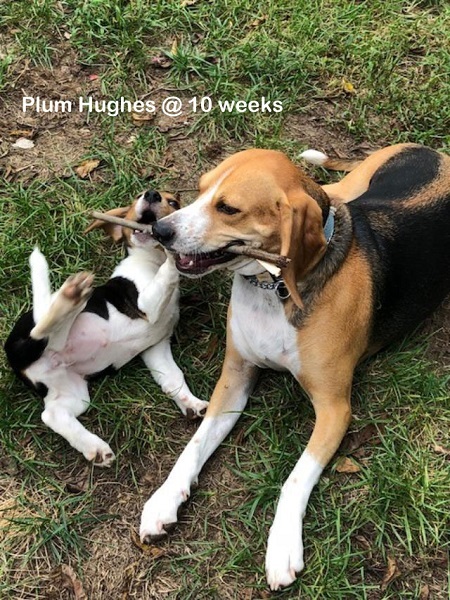 Plum has a small umbilical hernia which requires no intervention at this time. 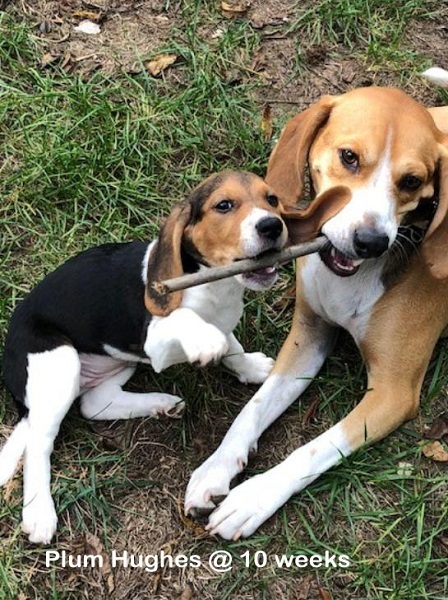 If you think you have what it takes to be Plum's forever person, please complete an adopter profile and submit it to icanhelp@beaglemaryland.org.